Possibly Two NEW Coaches shows!! JC Hawks Sports Network is currently working on a deal for two more Coaches shows. If you listened to my pilot show on JC Hawks Radio, I mentioned that I use to have another network called WFB Talk that aired every Sunday as well as Coaches shows during the week. JC Hawks Sports Network is looking to do the same. Right now we currently have The 5th Quarter with Coach Johnson every Tuesday night, 9pm-EST. If this deal goes through, you could possibly hear them starting in January 2018. Stay tuned for additional updates. Tuesday, December 5, 2017 9 p.m.- EST on the 5th Quarter with Coach Johnson will discuss the right Coach & Coaches finding the right team. Call-ins are welcome 657-383-1020 or use the chat room at radio.jchawks.com. that we bring the topic back on this month’s show to hear more comments. IWFFA encourages players to officiate in tournaments they play in competitively. Then when a player’s team is not playing, she can officiate in the tournament. IWFFA Radio is back on the air Every 3rd Wednesday starting April 19, 2017 at 9:00 p.m. (est). 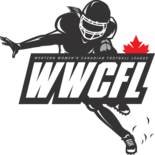 Follow the International Women’s Flag Football Association at www.iwffa.com. For more information on upcoming shows or to listen to a previous podcast click HERE.